After breakfast we take a stroll through historic Flagstaff. It is Halloween, a lot of people are dressed up and at the school we watch the kids who are “trick or treat”-ing in the school yard. Late morning we drive back towards Paradise Valley through Oakwood Canyon, Sedona and up to Jerome. In Jerome, an old mining town with about 300 souls, we stop to do some sightseeing and have a burger at a English Kitchen which has nice outside patio with gorgeous view. From there my dad races our car over the mountains to Prescott Valley. He enjoys the good road with the narrow turns and all that with hardly any traffic. In desperate need for a coffee we stop at McDonalds before we take the rest of the way home. Late afternoon we arrive home safely. We made a total of about 1,000 miles in 5 days and have seen a small but very beautiful part of the United States. 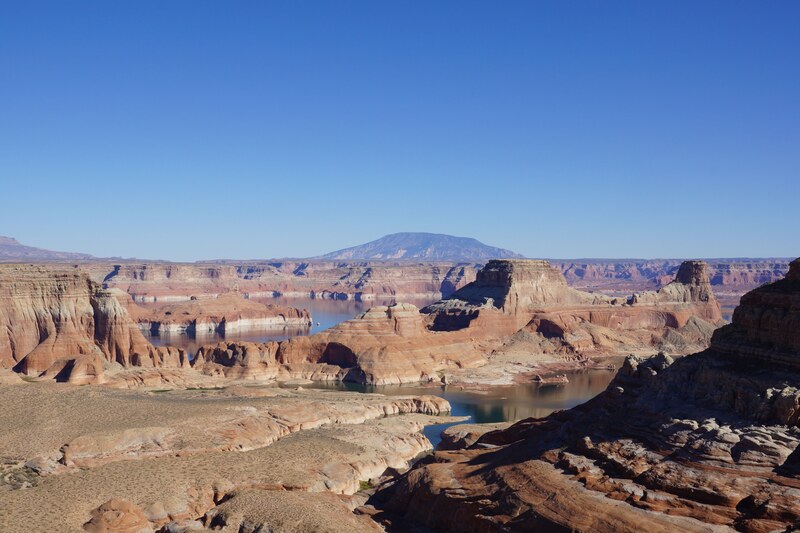 The State of Arizona offers a vast variety of different landscapes and natural monuments and attractions. Typical festive Halloween activities include trick-or-treating (or the related “guising”), attending costume parties, decorating, carving pumpkins into jack-o’-lanterns, lighting bonfires, apple bobbing, visiting haunted house attractions, playing pranks, telling scary stories and watching horror films. In many parts of the world, the Christian religious observances of All Hallows’ Eve, including attending church services and lighting candles on the graves of the dead, remain popular, although in other locations, these solemn customs are less pronounced in favor of a more commercialized and secularized celebration. Because many Western Christian denominations encourage, although most no longer require, abstinence from meat on All Hallows’ Eve, the tradition of eating certain vegetarian foods for this vigil day developed, including the consumption of apples, colcannon, cider, potato pancakes, and soul cakes.